Showing results for tags 'k-2'. Hi I want to know if an illegitimate child needs parental consent or something else. The child is 4 years old and the father is not part of the picture and never has been. K-2 child taking my sir name? I hope the group doesn't mind this question, but I am seeking a little guidance. I have tried finding this information myself via Internet research, but with no success. Thank you in advance! My fiance and I are still processing our K-1/K-2 Visas. If all goes well, I hope to bring her and her daughter (age 4) to the states early next year. I am unsure of the laws in both the Philippines and US regarding adopting a child. I would like to be able to give her my last name. My fiance and the father have never been married so the child was illgitimate according to filipino law. My fiance's daughter also has the sir name of the father. My question is, will I have to go through an adoption process to offer the child my last name? Even though the mother has all the control due to lack of marriage (i.e. 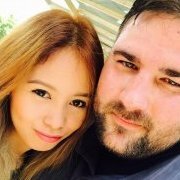 filipino family law), will I require the father's permission to change her last name and/or adopt her? Is any of this altered if her mother become's a naturalized US citizen? If we do need his permission, is a notarized (or perhaps just signed) document sufficient or does he have to execute a process of some sort in the philippines? I truly appreciate any advice you can offer! Hello, I need some advise on my step-son's Permanent Resident status. He just turned 18. Here's some more about the situation: Wife obtained PR status via K-1 visa in May 2014. Step-son came later (I think about 6 months?). We applied for PR status for him separately, he obtained it in April 2016. We removed conditions on my wife's PR card, she has the 10 year card. Step-son's card will be expiring in April 2018 (this year). We haven't yet filed the N-400 for my wife. We will be doing that soon. What is the best path to continue residency for my step-son? He's 18 on paper, but due to a clerical error on the birth certificate really. He was born in 2001 but for some reason the notary put down 2000. We've just rolled with it, since it would be a nightmare to get this changed. The point is that he has another year left of high school, so it is important to get his PR status renewed. Thanks!! IR-2 or not to IR-2, That is the question! Hi, first post here, thanks for reading. I married a Filipina April 9, 2016 in the US here on a Fiancee visa (about two years ago as of this writing). At the time her two daughters stayed in the Philippines with relatives while we went through The Process; Wifey is now awaiting her 2 year notice for AoS on her green card, and is desperate to have her children here now. I have met the two kids on my visits to the PI prior to out marriage here in the states. The eldest now is 18. Since my wife is temp green card, we plan on using my citizenship as the means of granting visa for both children via a IR-2 filing for both of them. Is this proper, or does somebody know a better way? Talked to a several lawyers with differing impressions of the path to take and am quite skeptical that I would be served by them rather than serving them. Really appreciate your input.